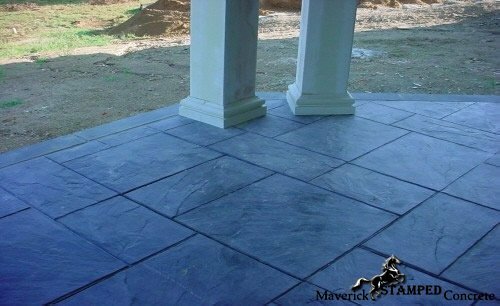 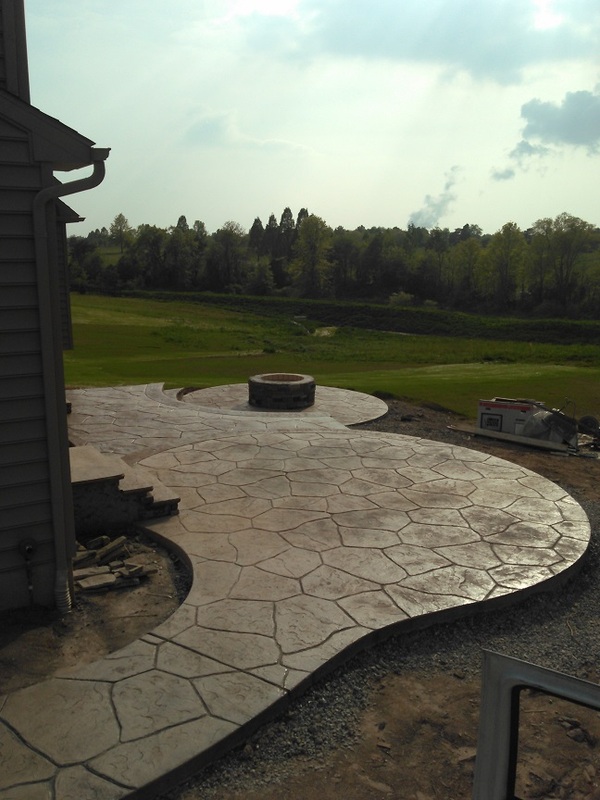 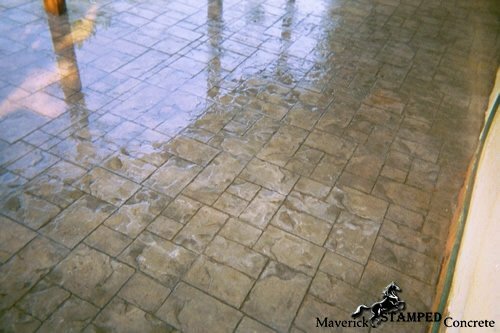 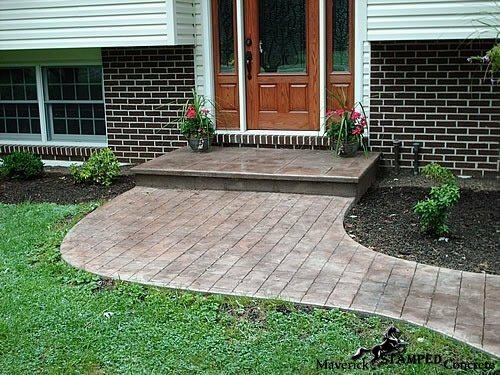 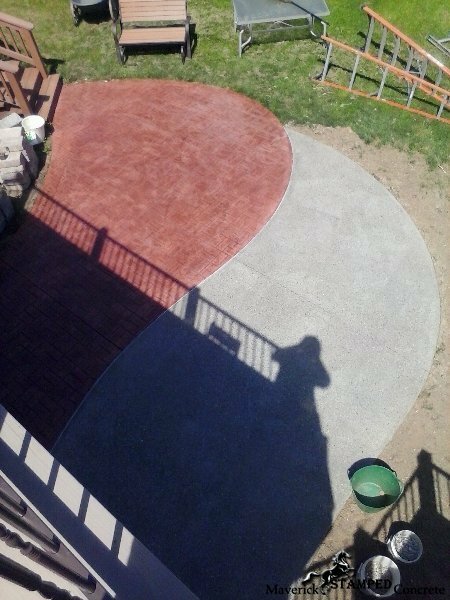 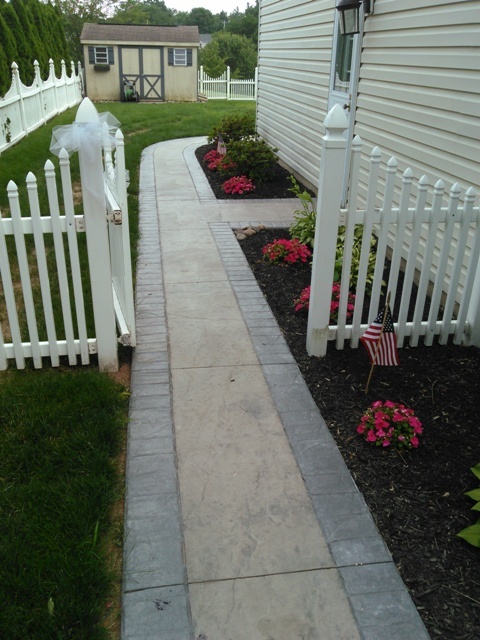 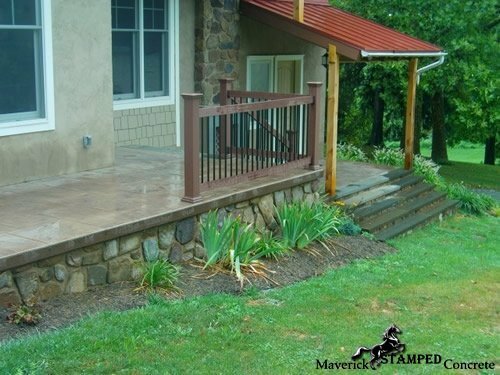 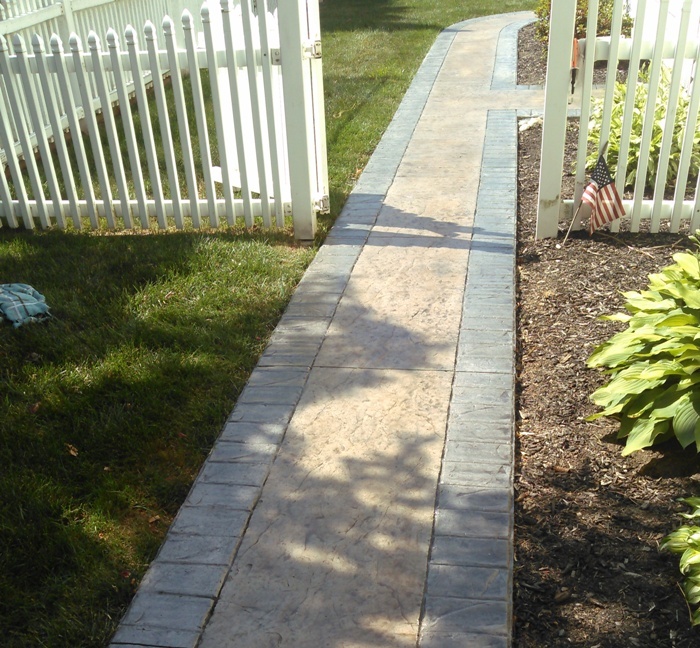 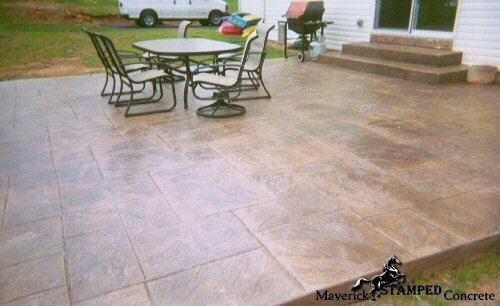 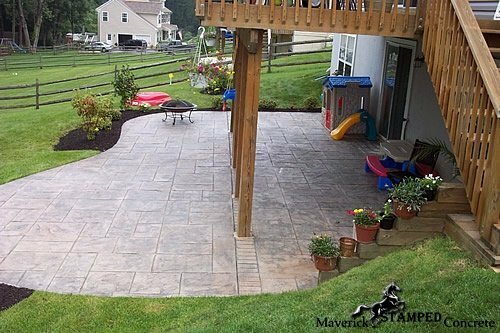 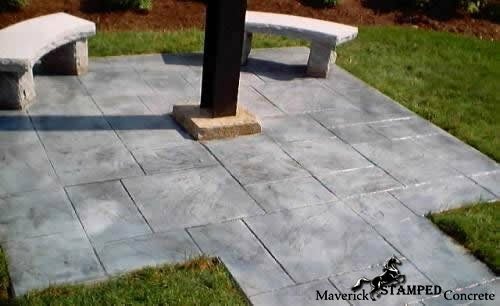 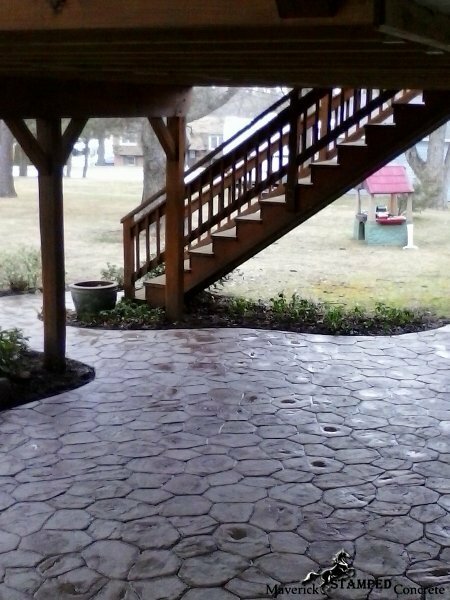 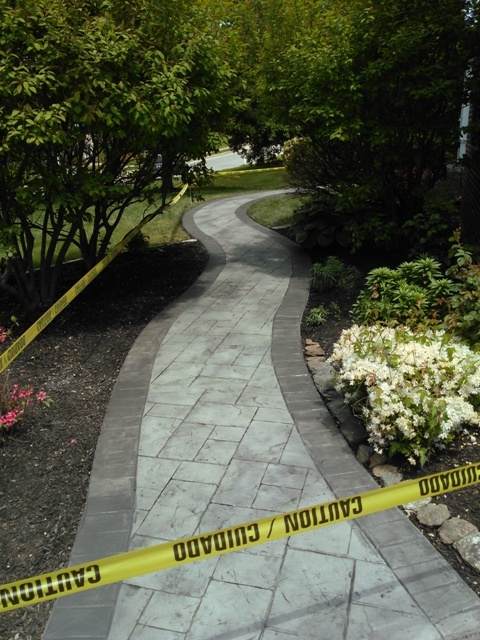 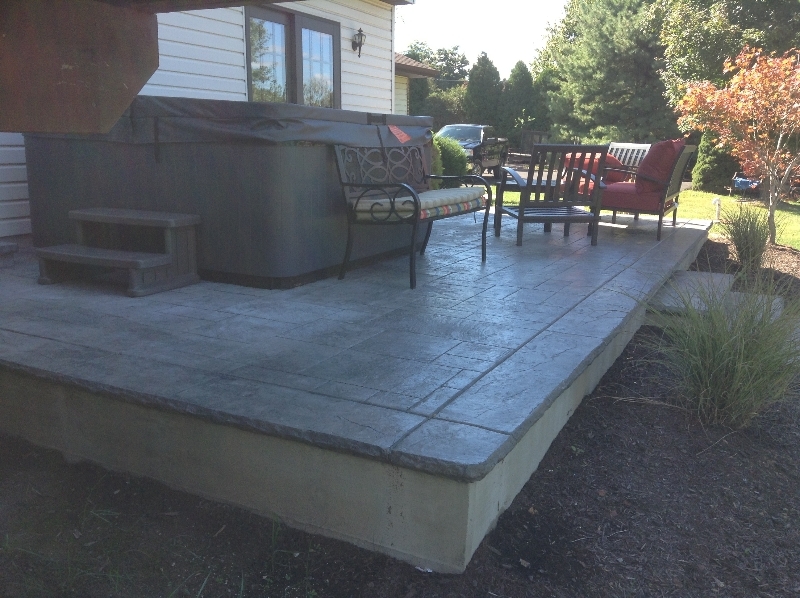 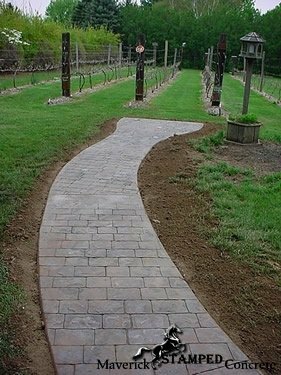 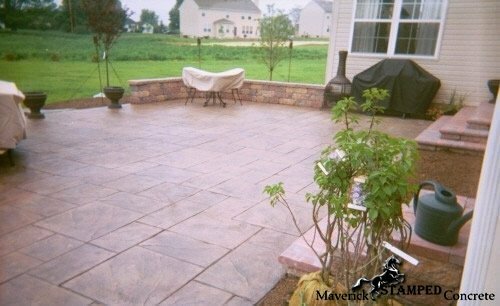 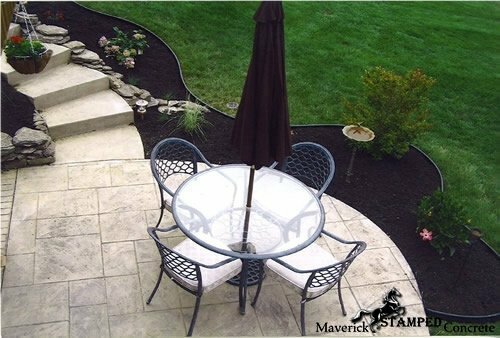 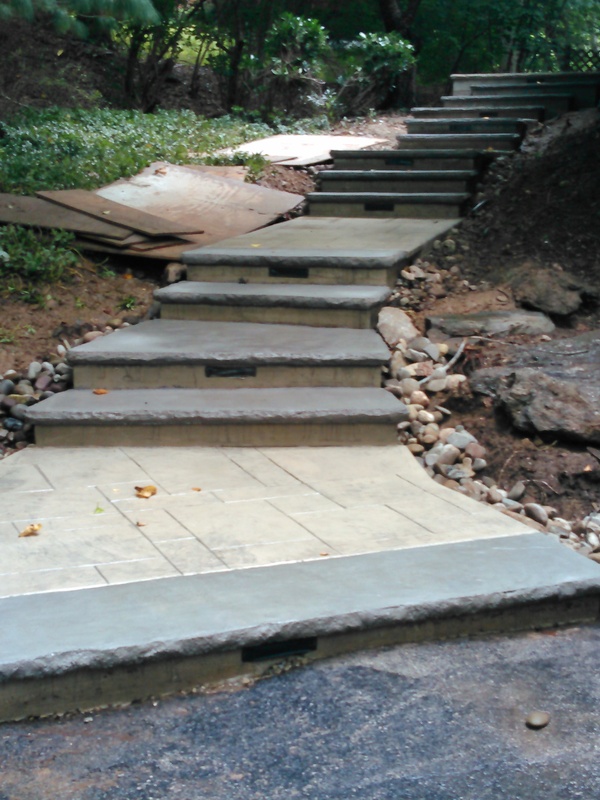 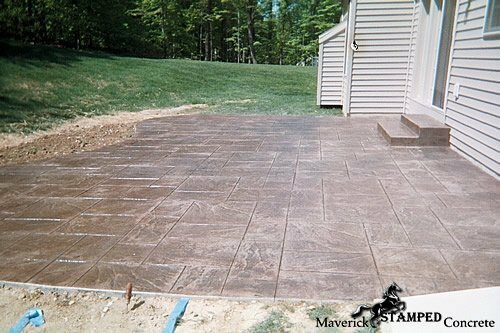 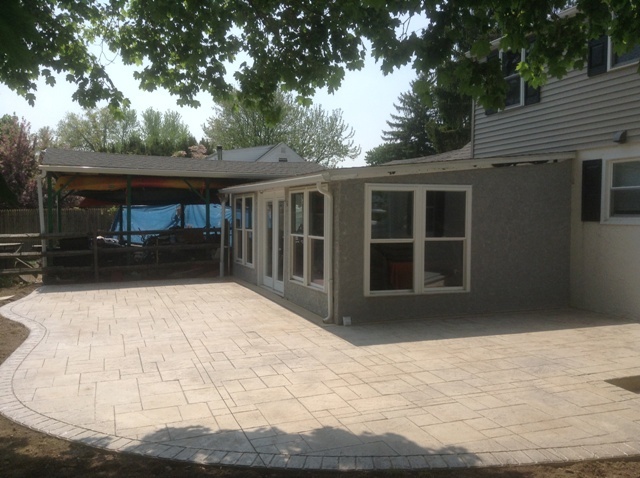 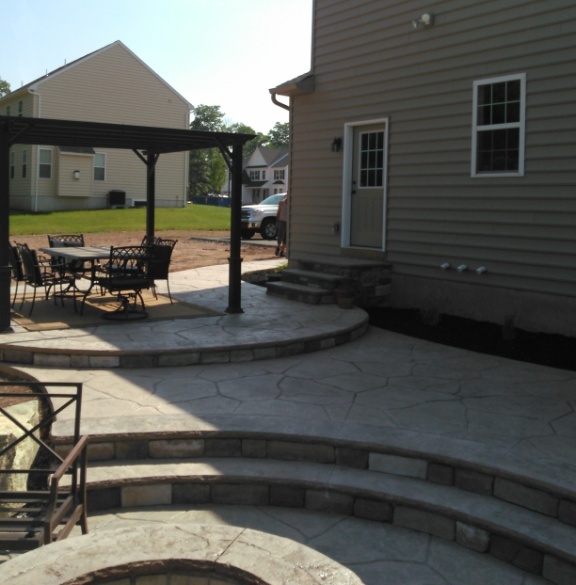 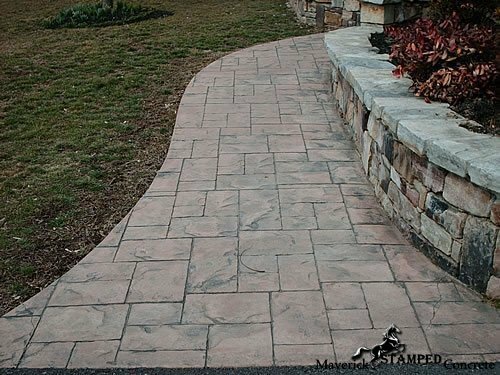 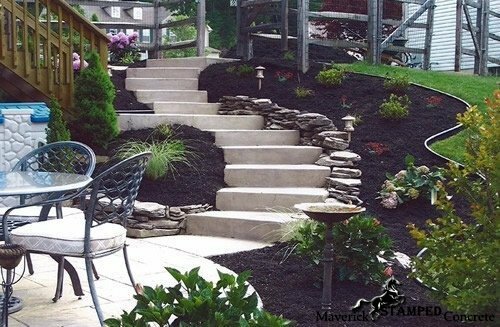 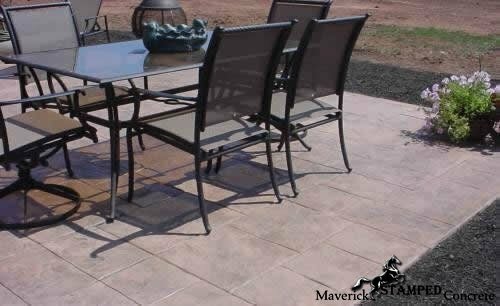 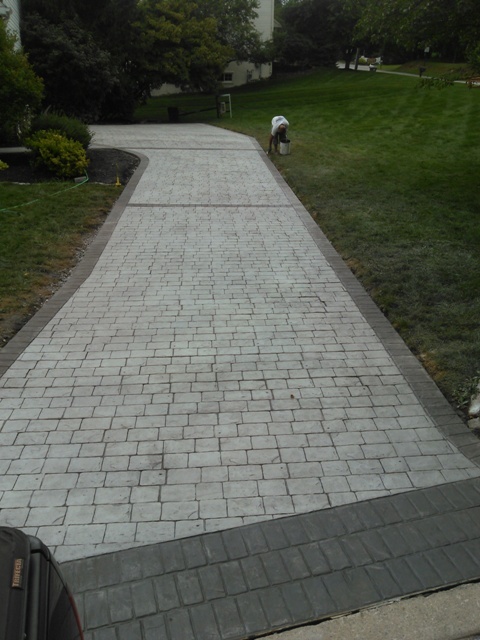 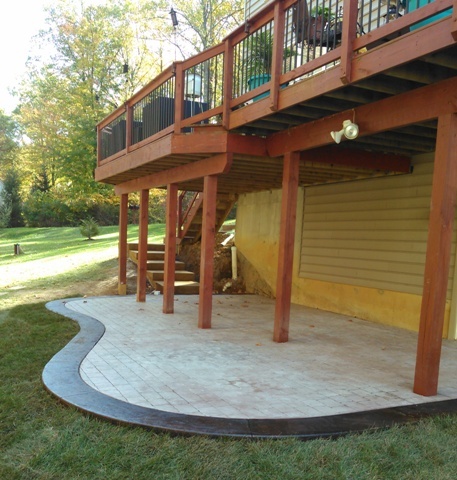 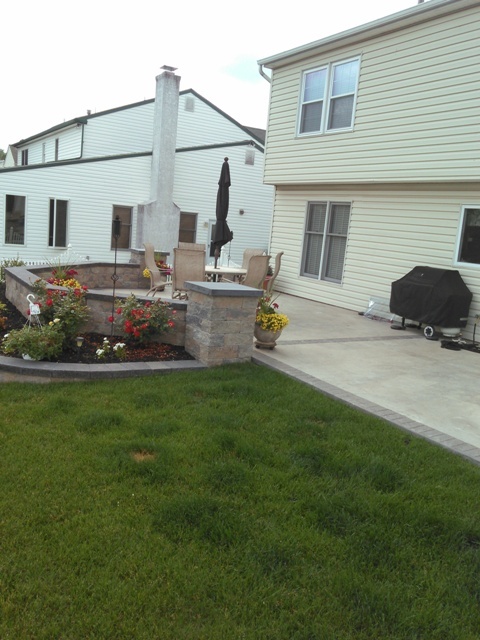 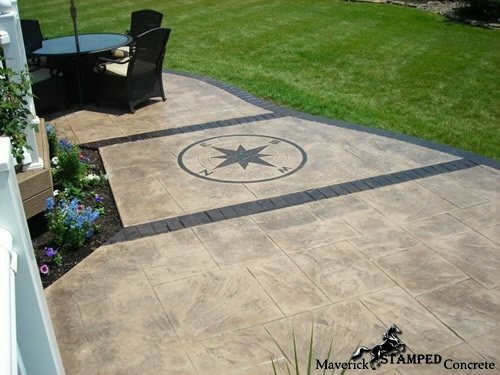 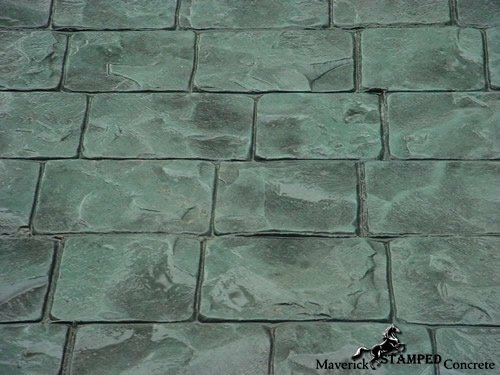 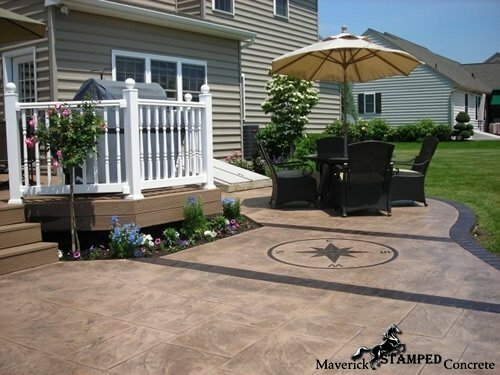 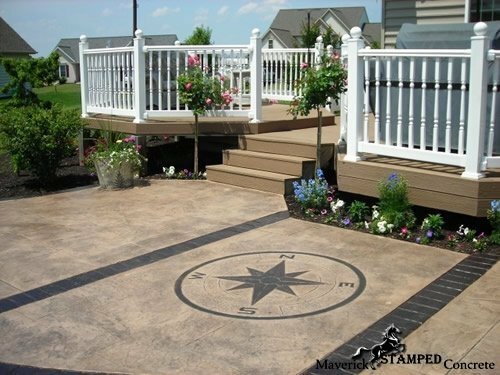 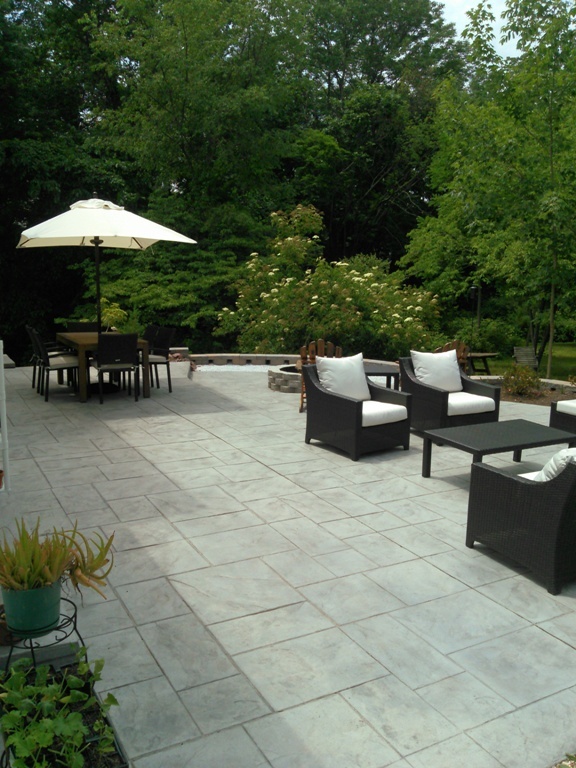 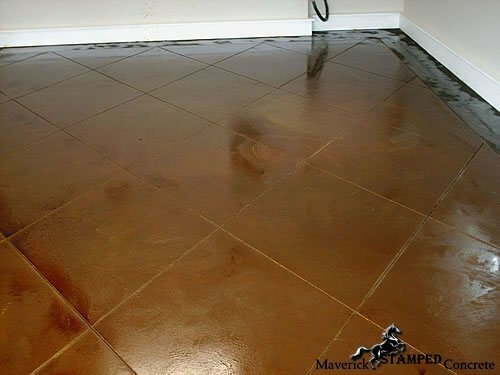 Collegeville PA’s top rated stamped concrete contractor is Maverick Stamped Concrete. 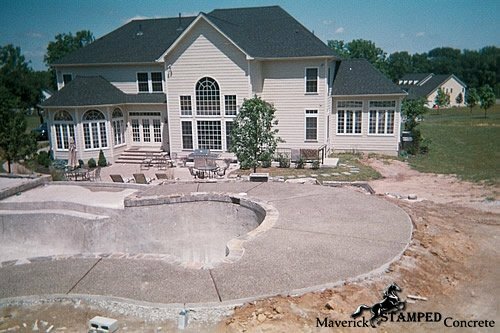 Maverick Concrete takes pride in their well-earned reputation, and they offer their clients a full range of stamped concrete installation and repair services including standard concrete driveway services — like installation, repair and refurbishing to fix concrete pits, cracks, flakes and stains and affordable, high-end decorative options including colored cement, stamped concrete, textured cement and acid stained concrete. 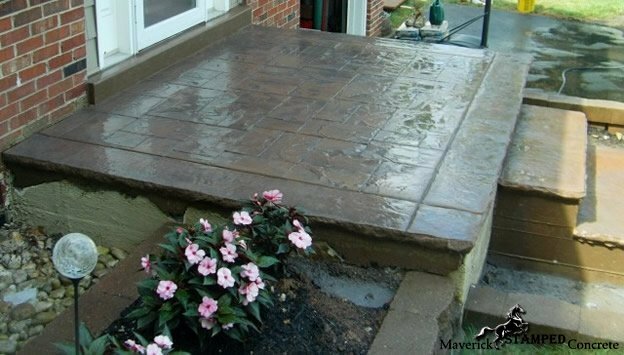 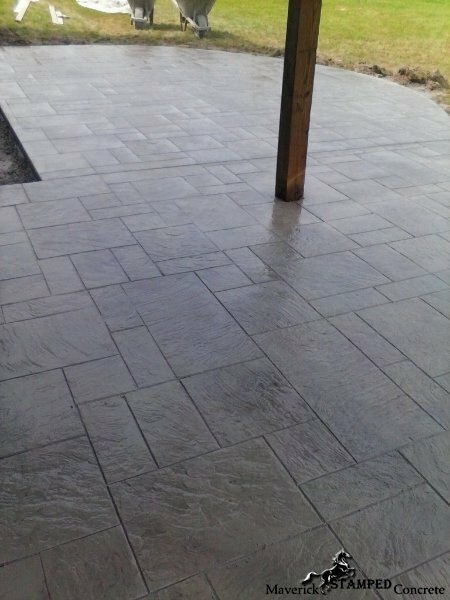 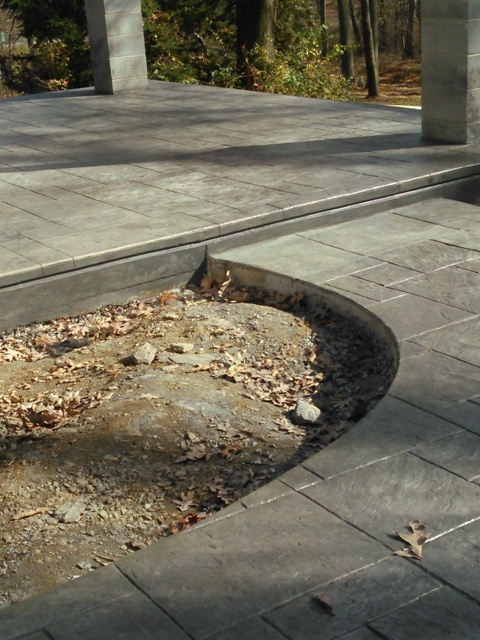 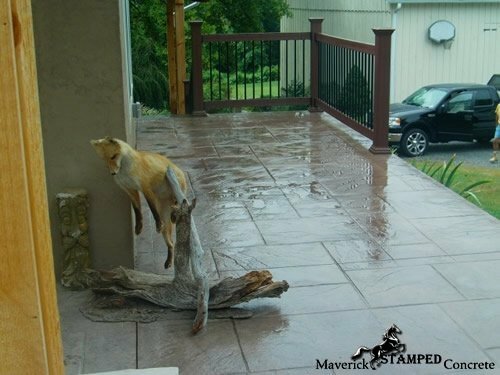 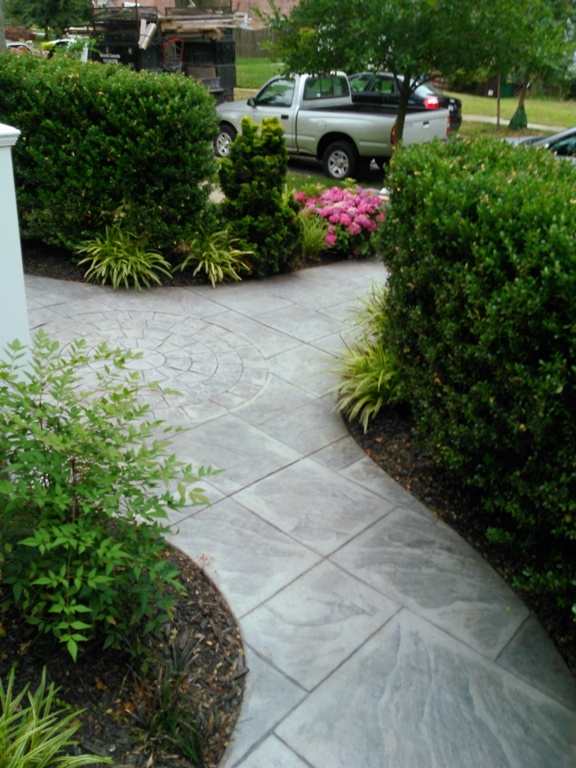 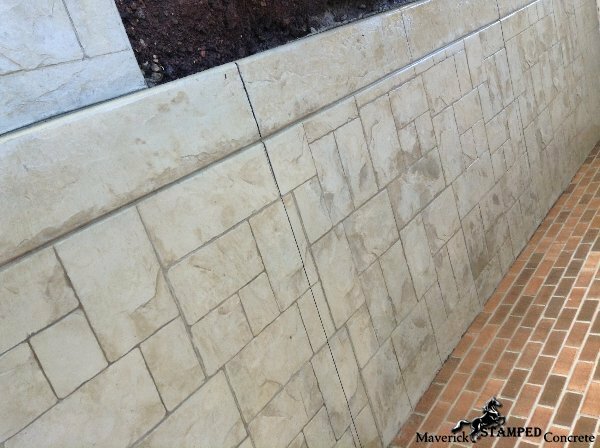 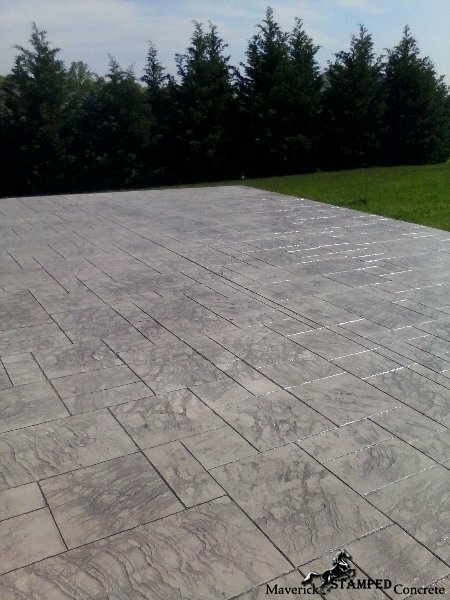 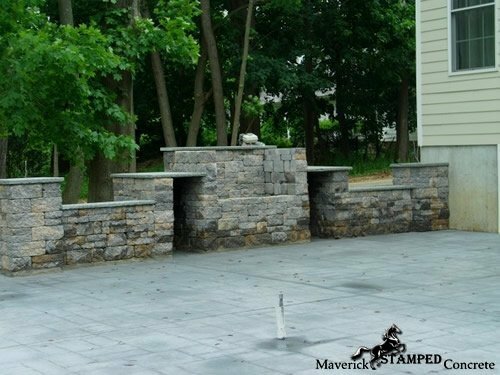 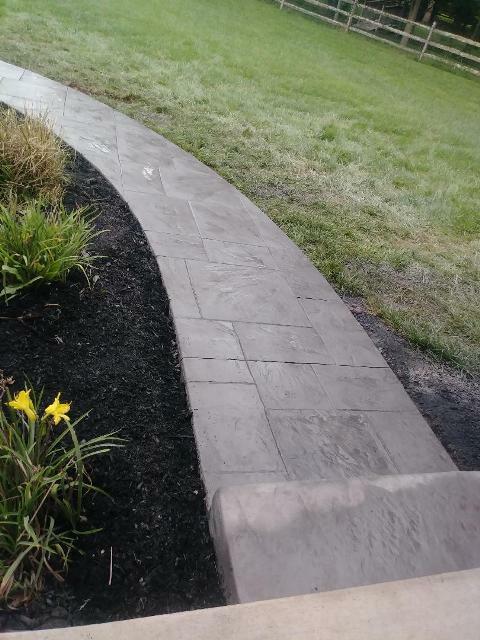 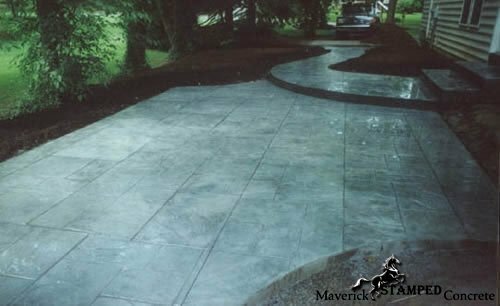 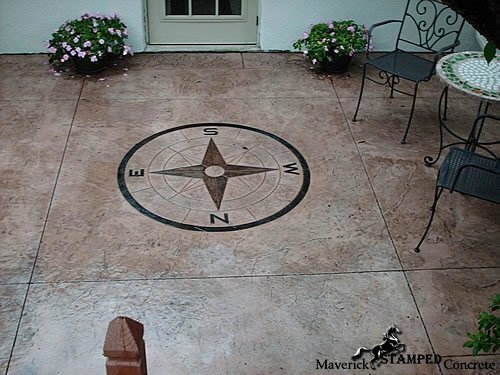 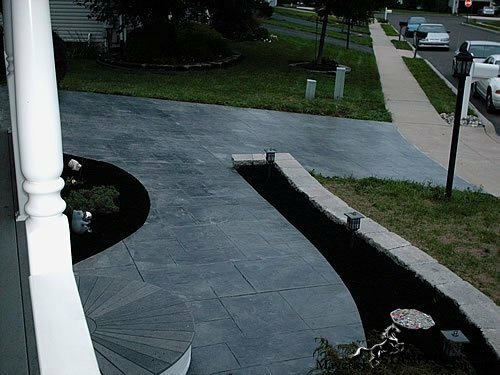 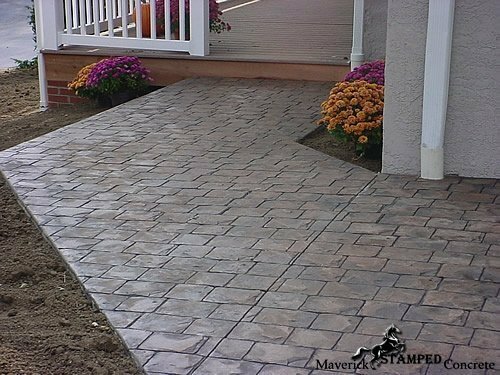 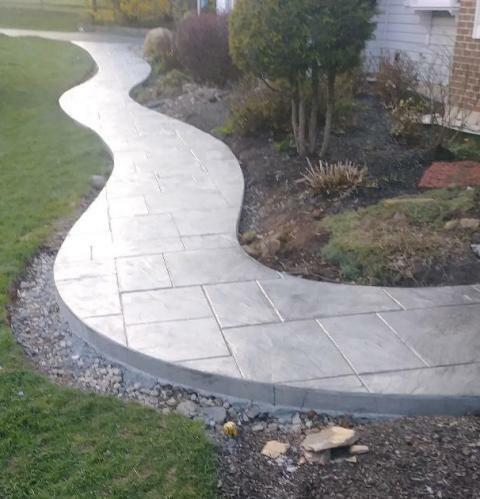 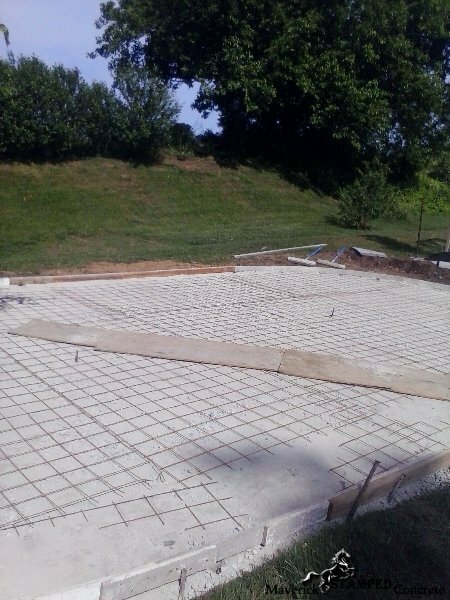 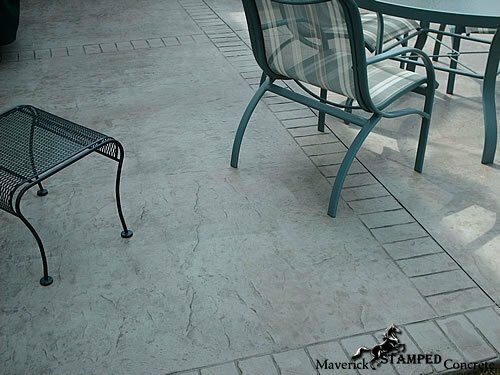 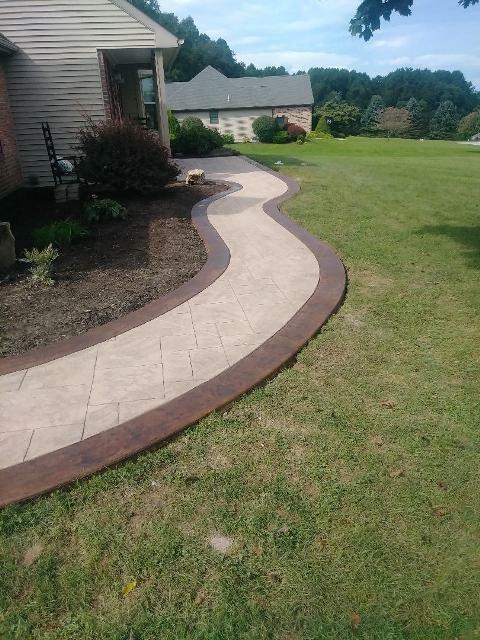 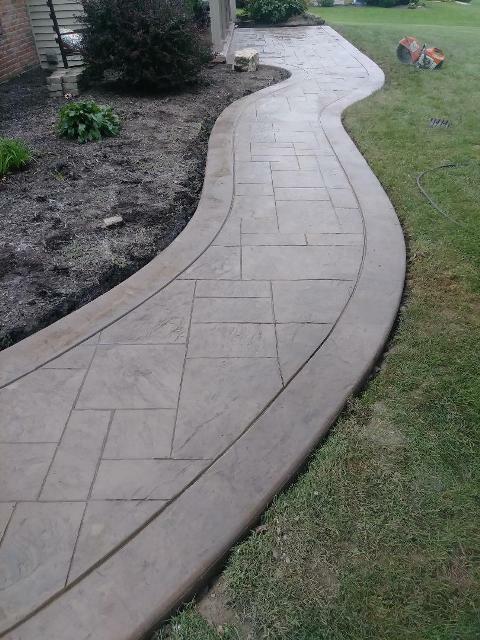 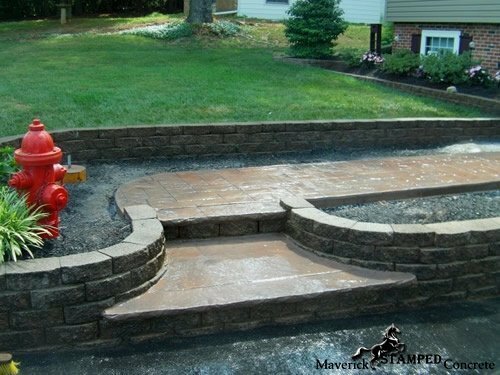 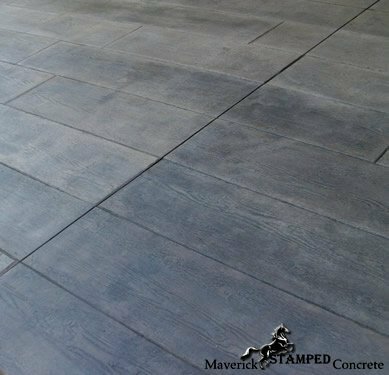 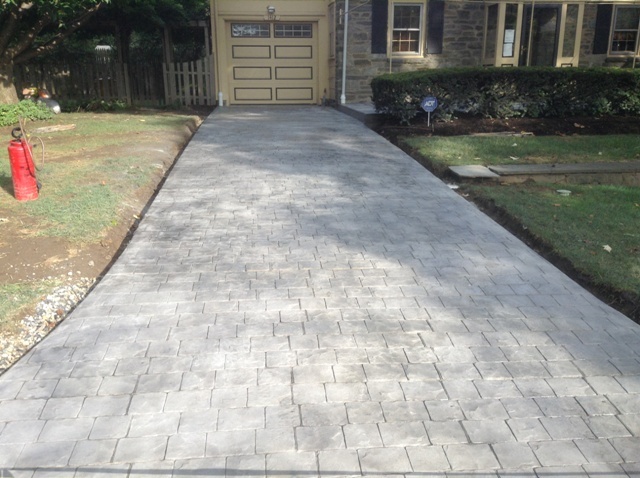 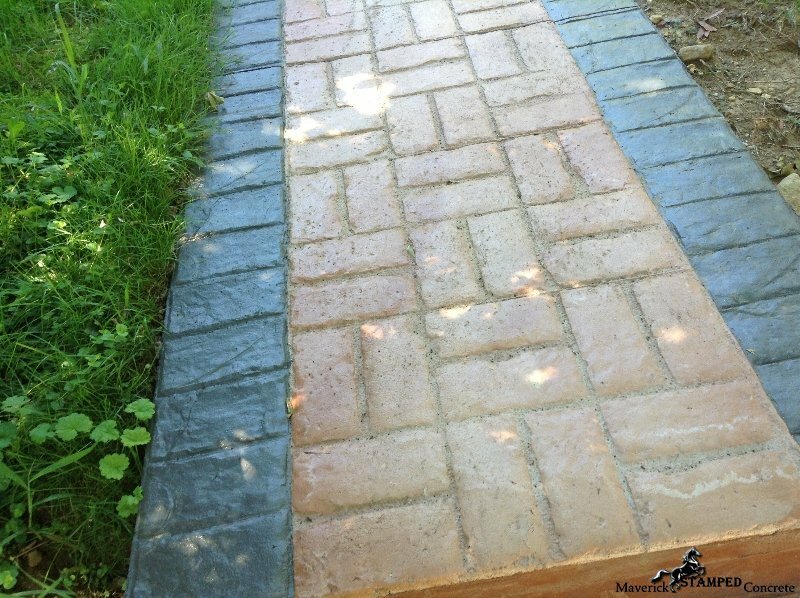 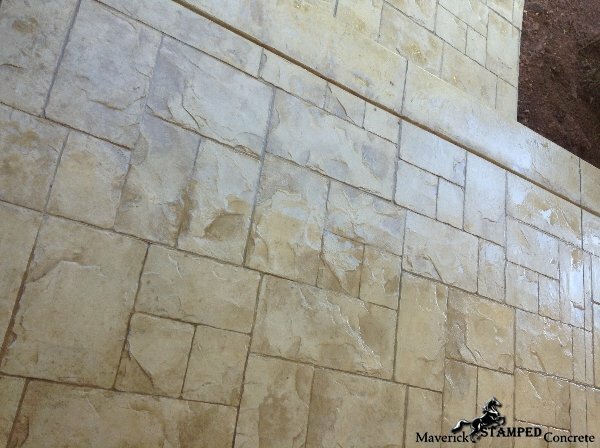 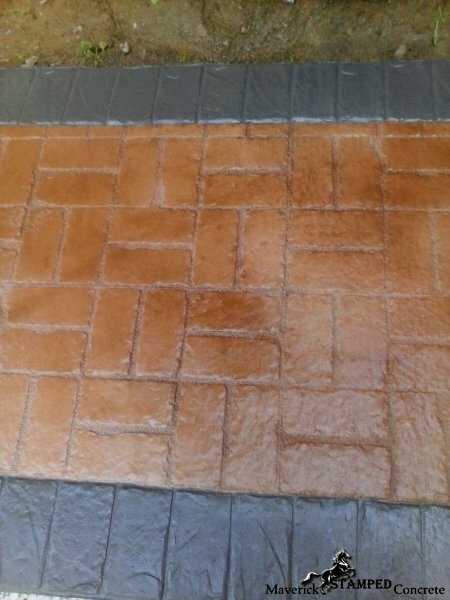 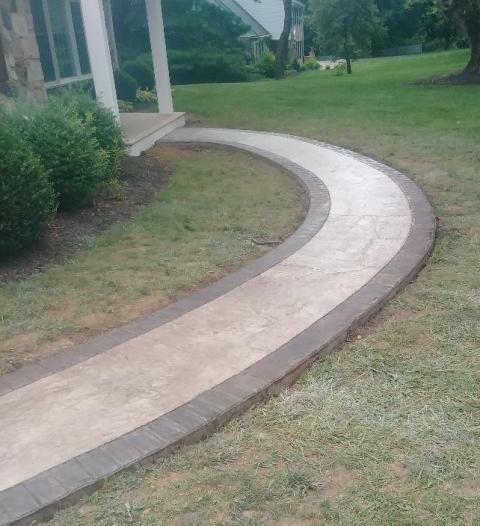 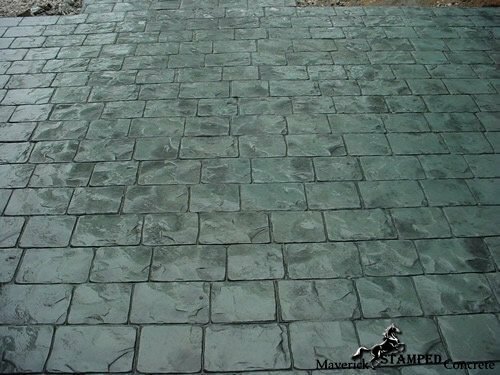 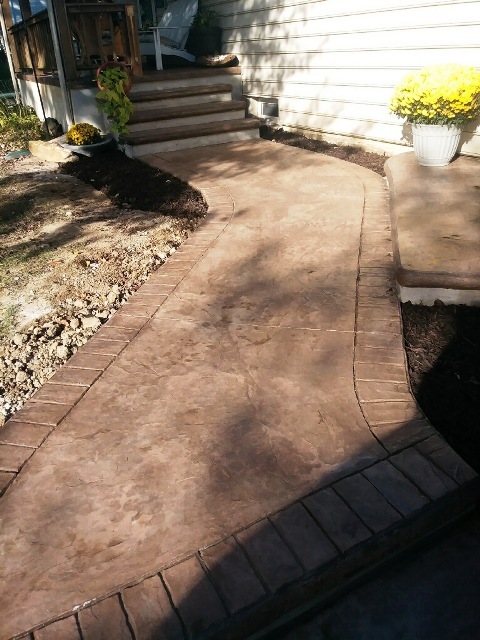 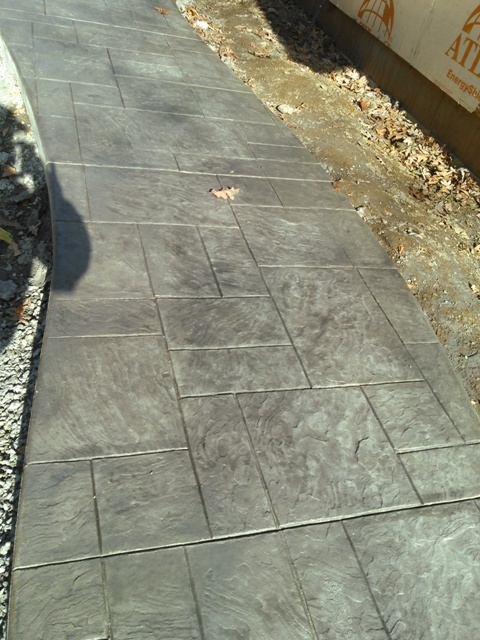 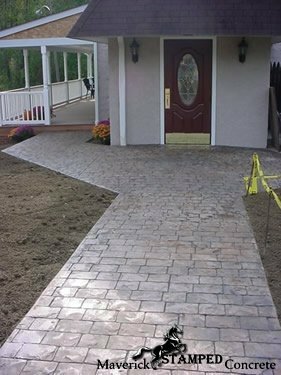 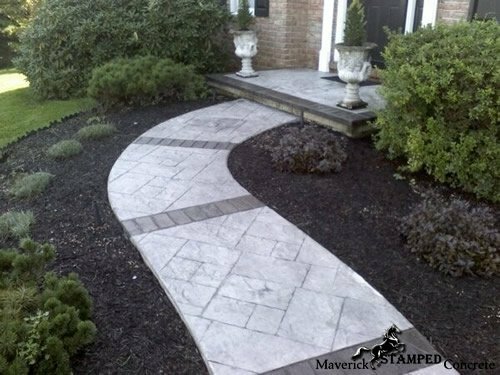 Whether you want to create a dramatic stamped concrete driveway entrance to your home or are looking to repair parking slabs that have seen better days, call Maverick Stamped Concrete for the Collegeville PA area’s most-trusted stamped concrete contractor. 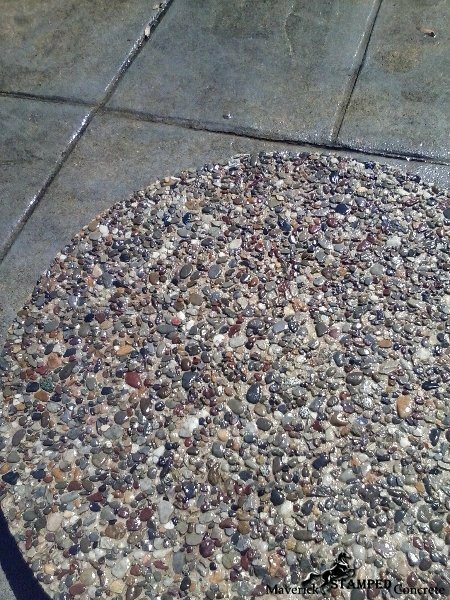 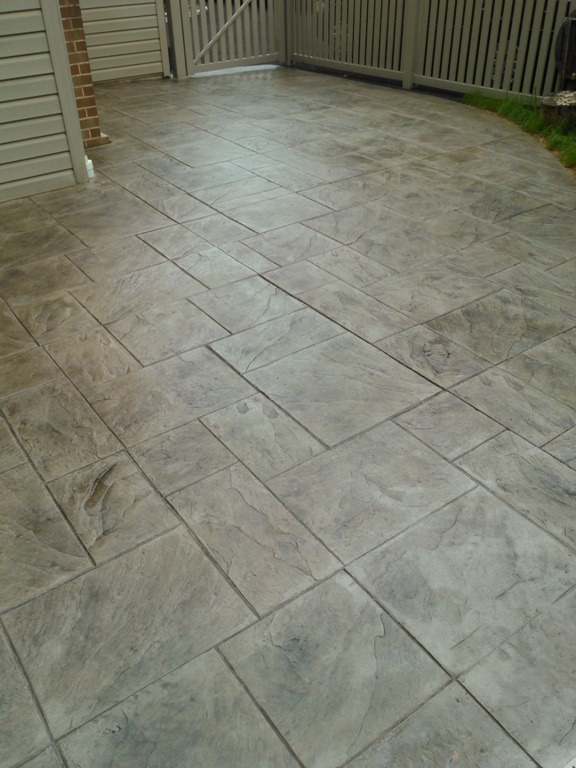 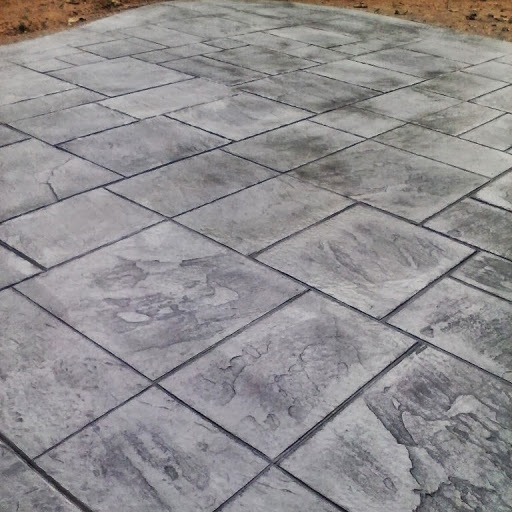 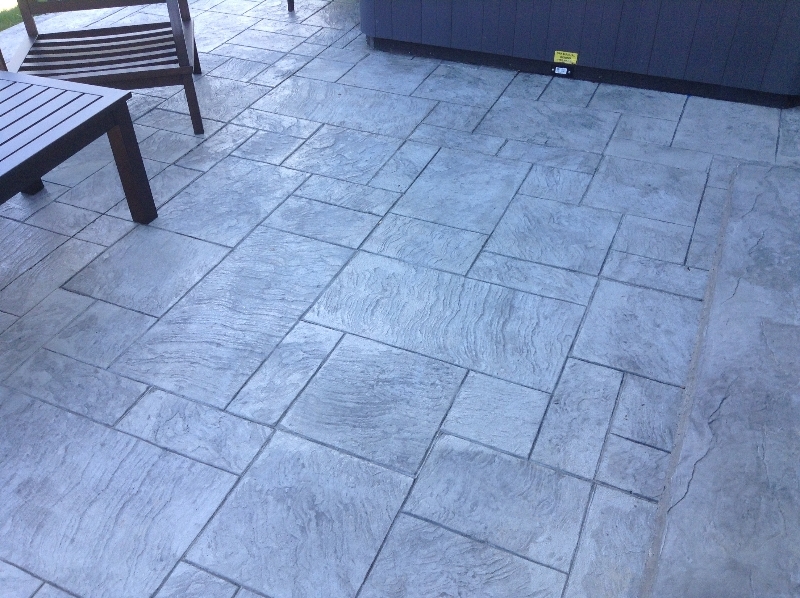 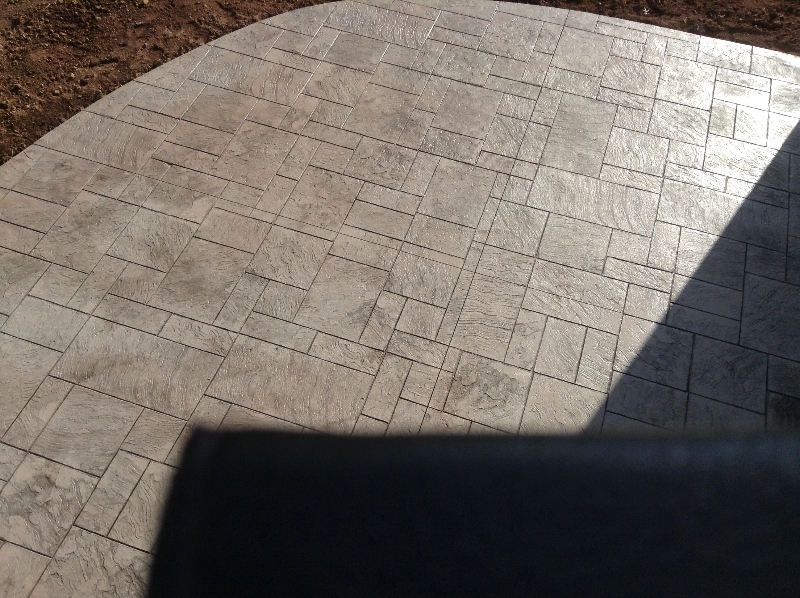 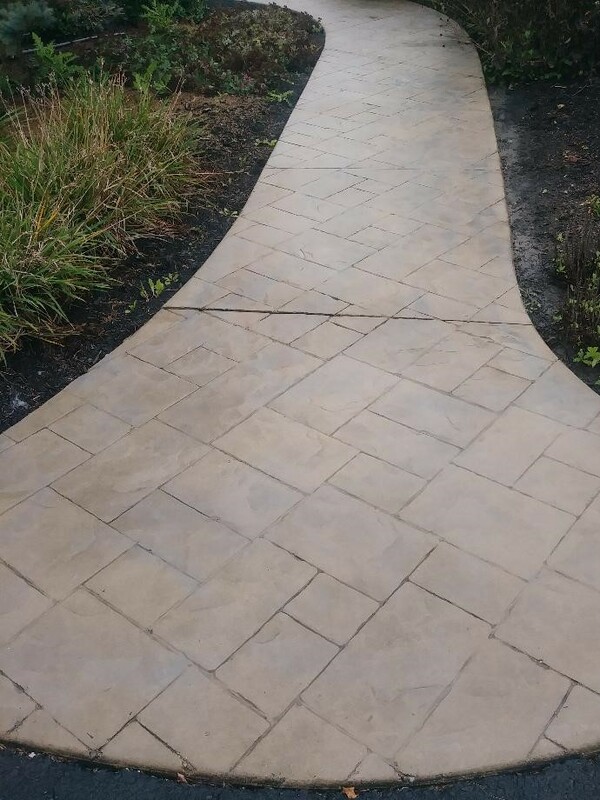 The apex of our talent is showcased by our Stamped Concrete, Concrete Staining and Concrete Texturing. 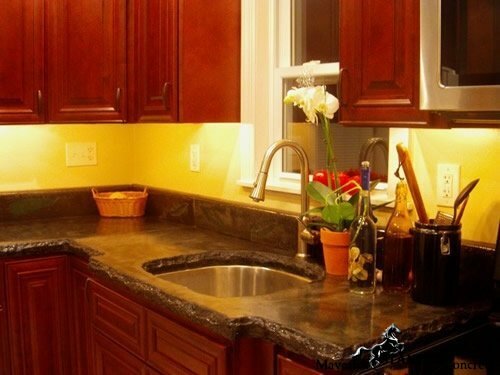 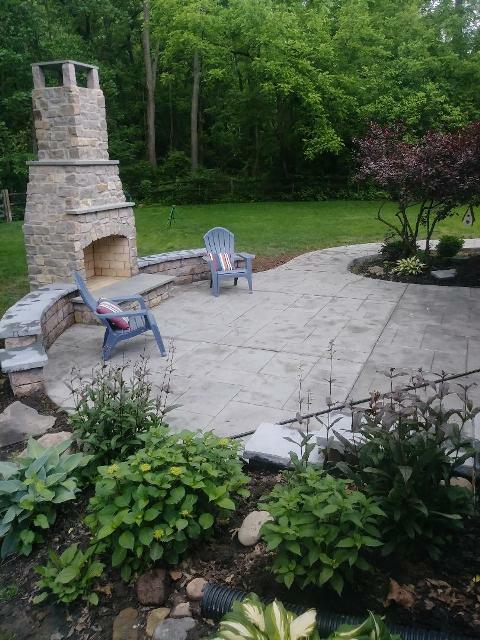 One of our special areas is doing custom work for homeowners who have specific concept requests, designer requests or alternative design needs. 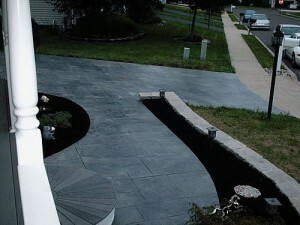 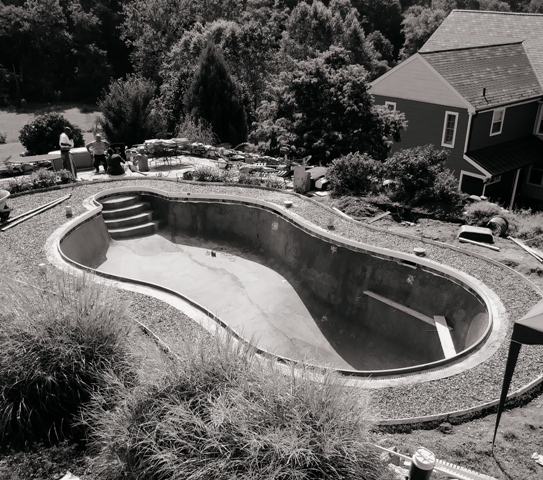 We primarily serve executive residential and commercial clients. 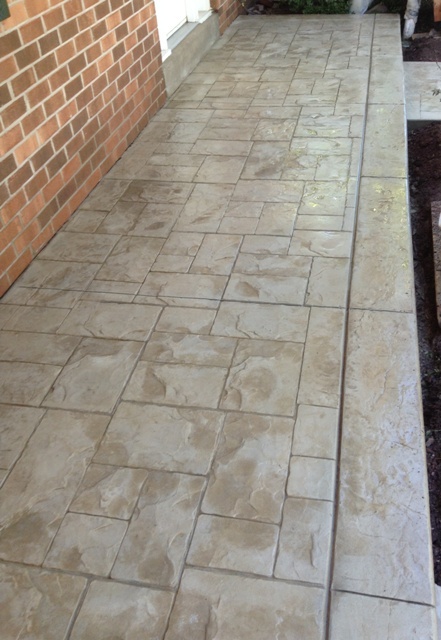 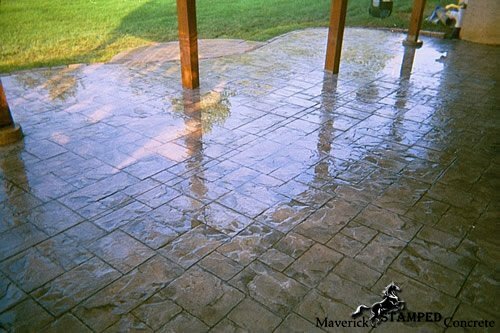 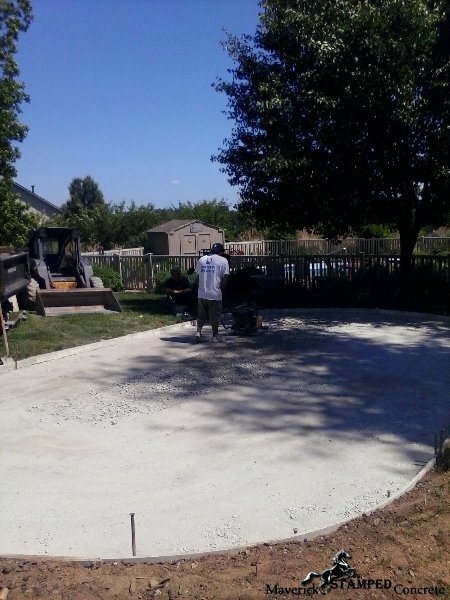 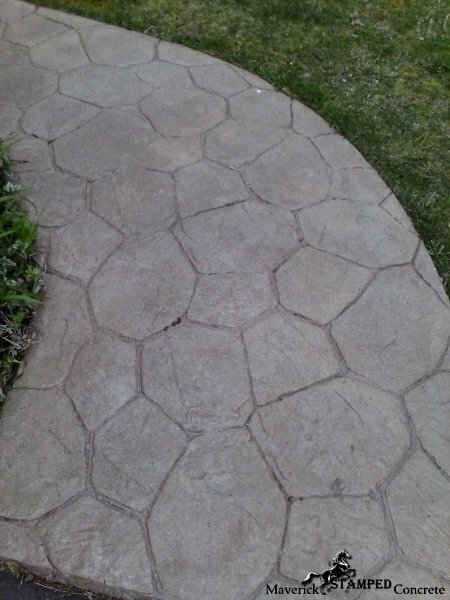 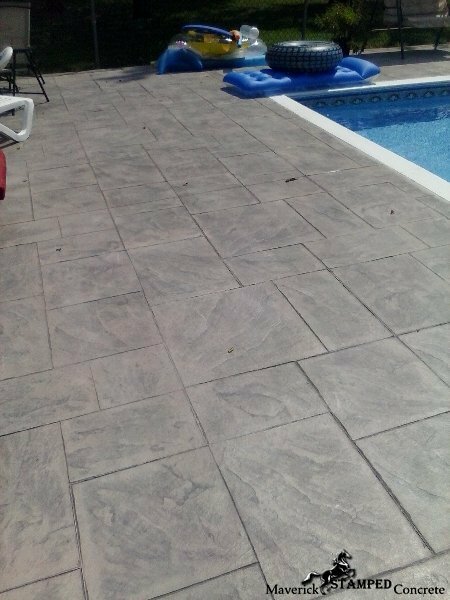 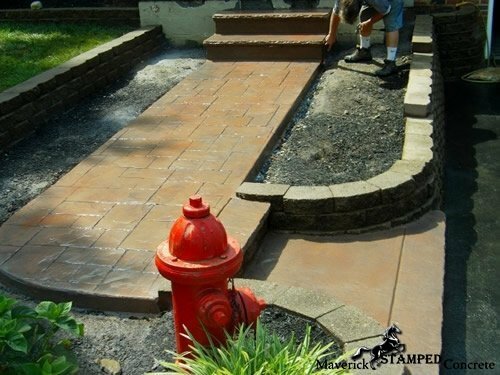 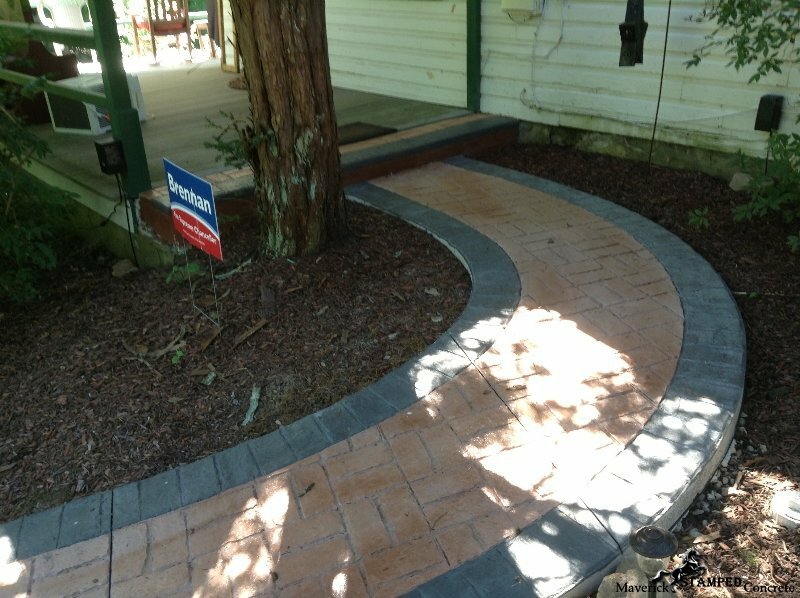 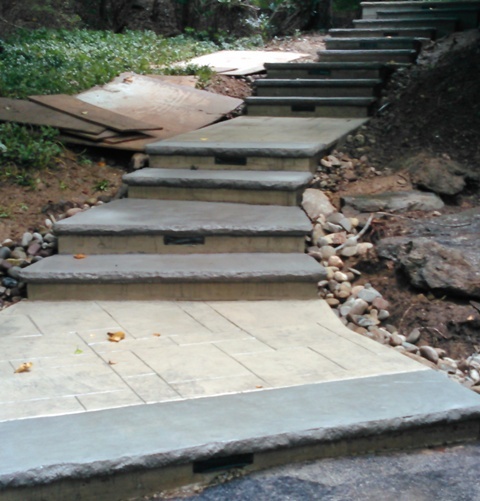 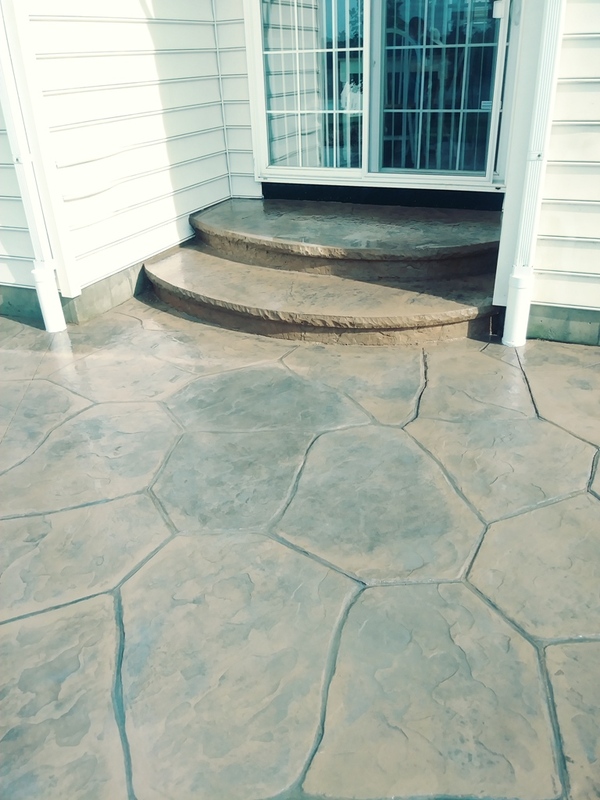 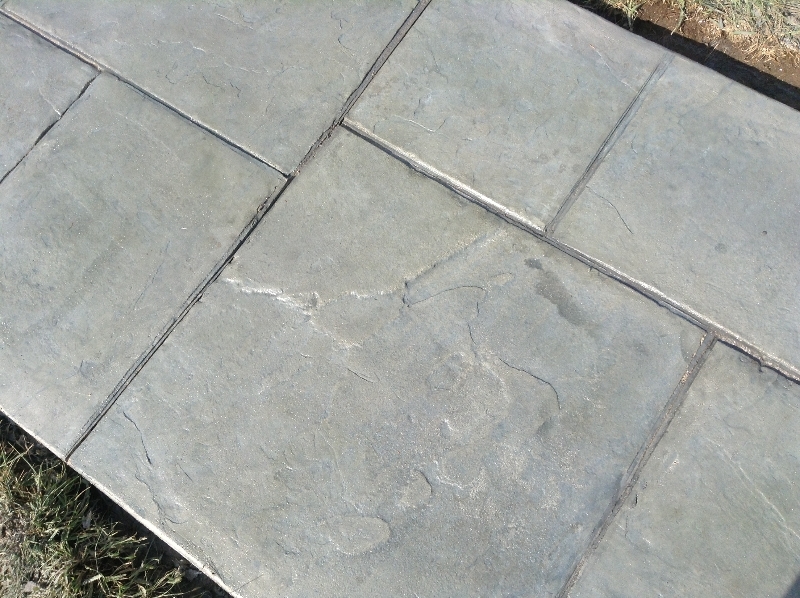 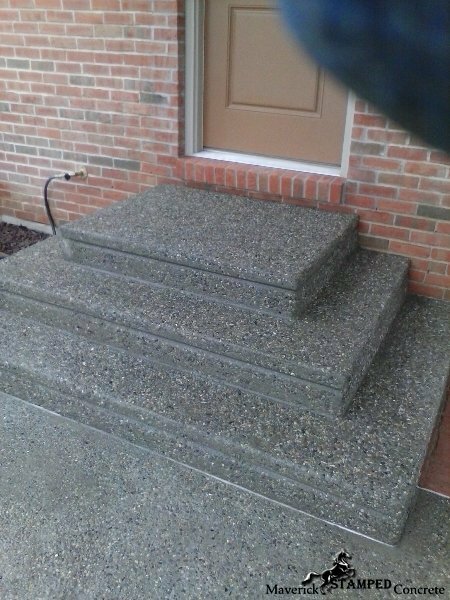 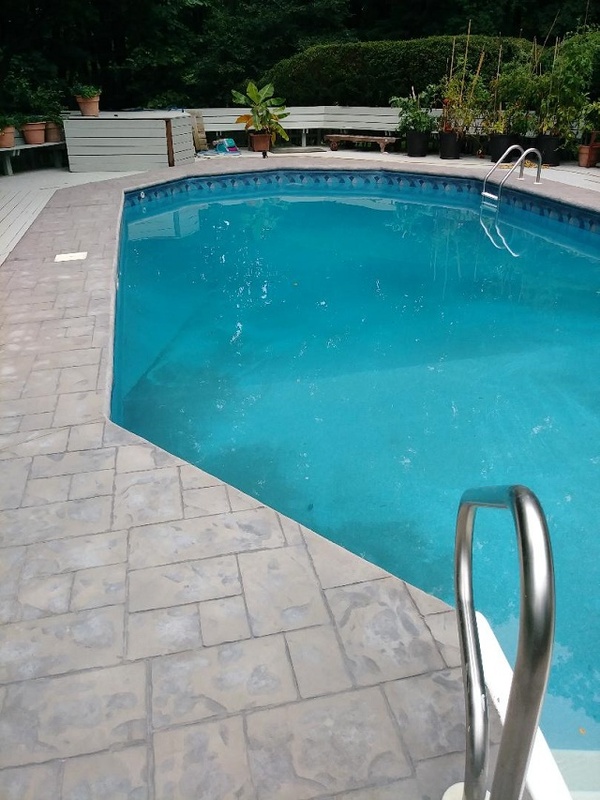 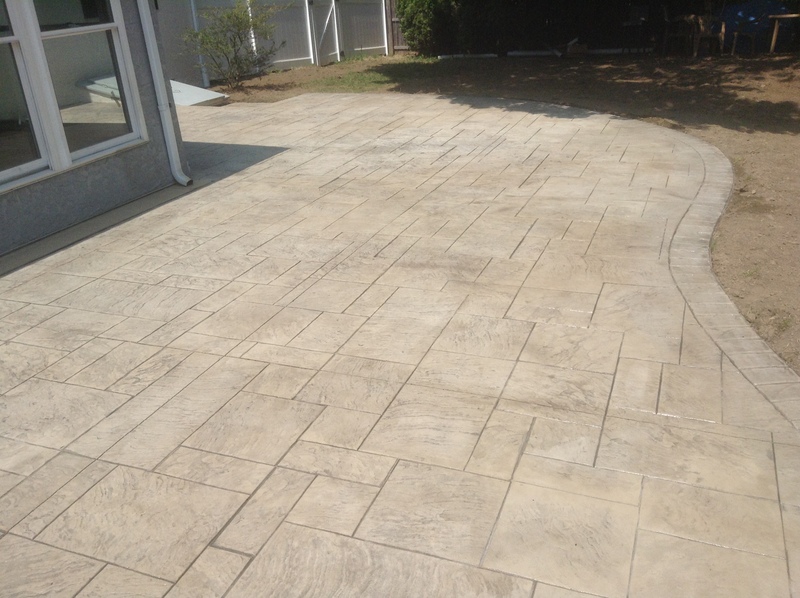 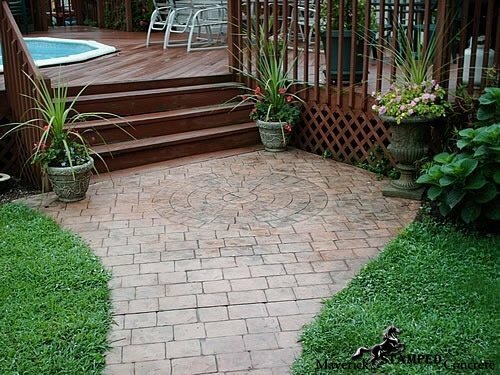 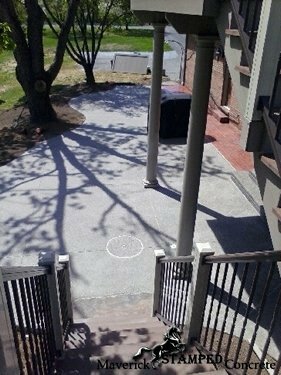 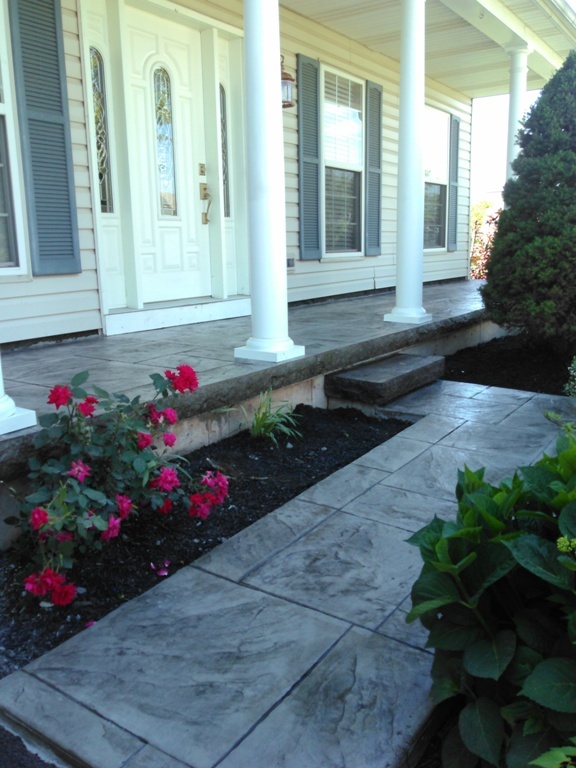 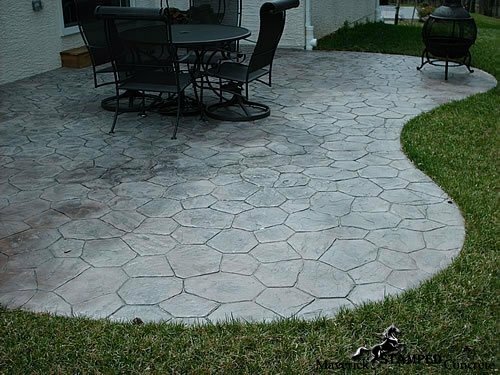 Our stamped concrete techniques include the traditional: walkways, driveways, pool decks, porches, steps, patios. 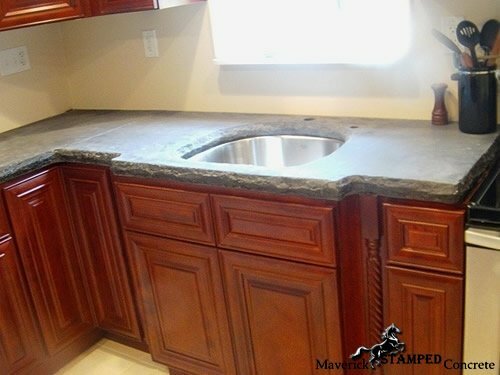 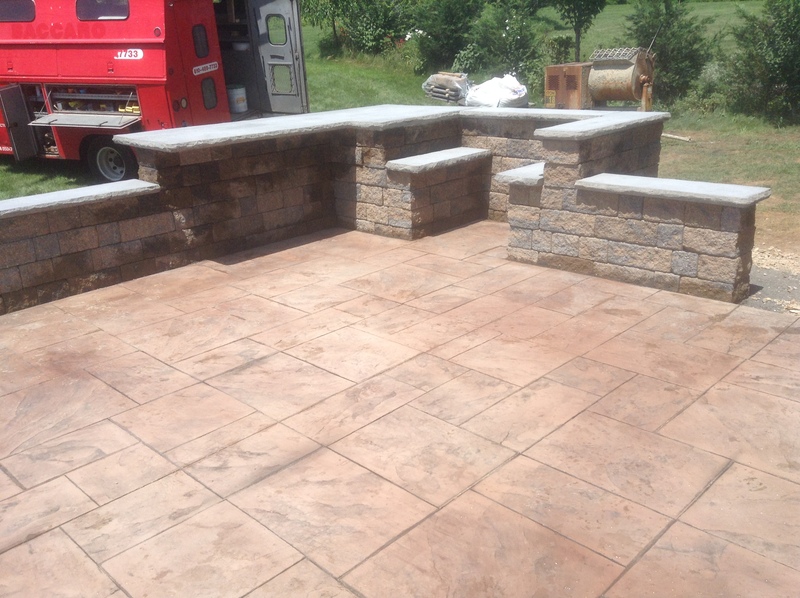 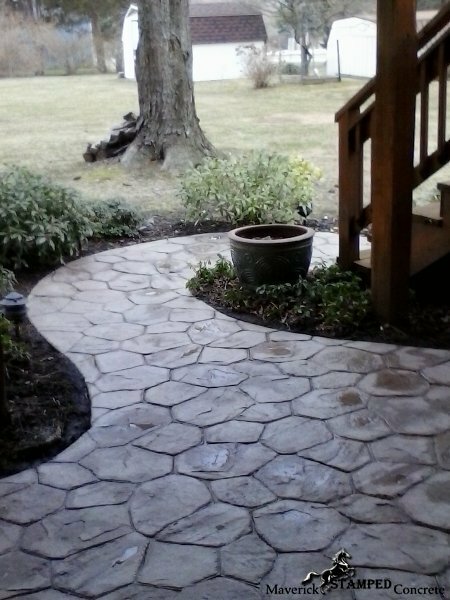 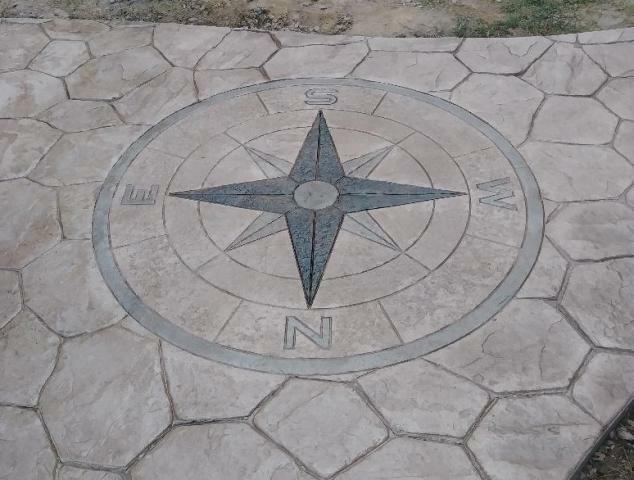 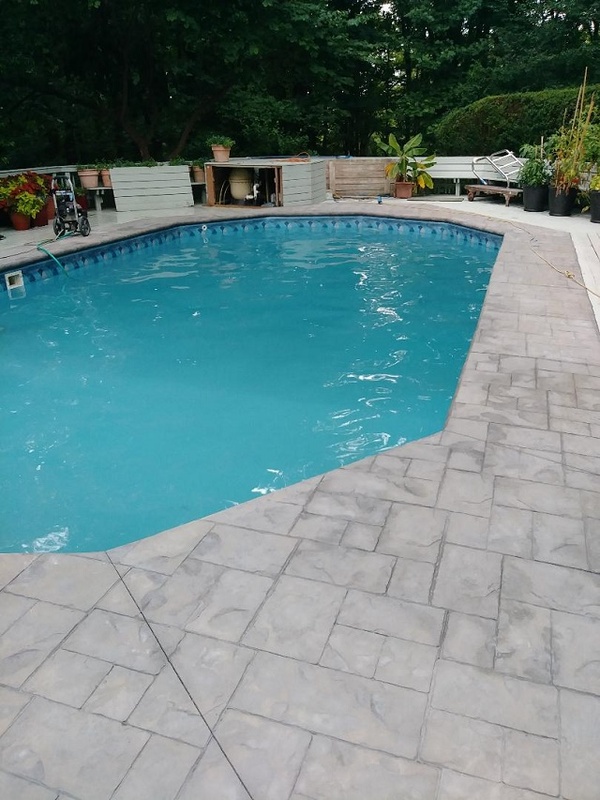 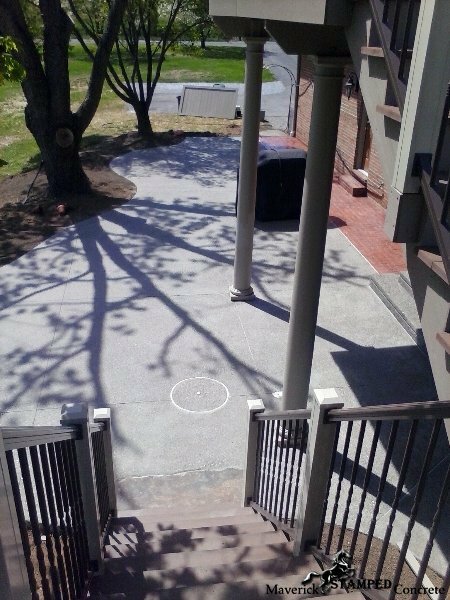 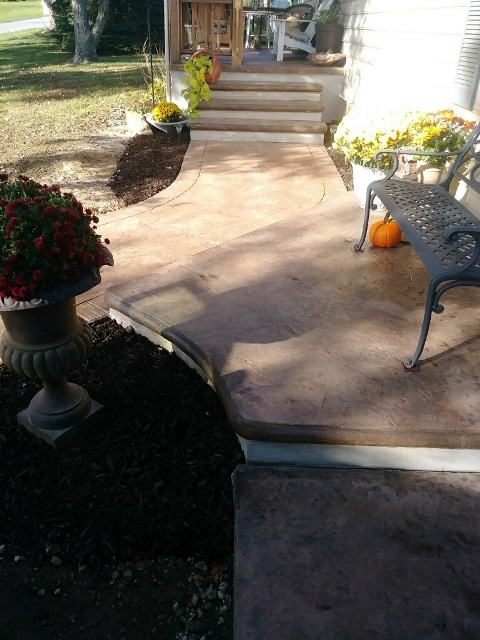 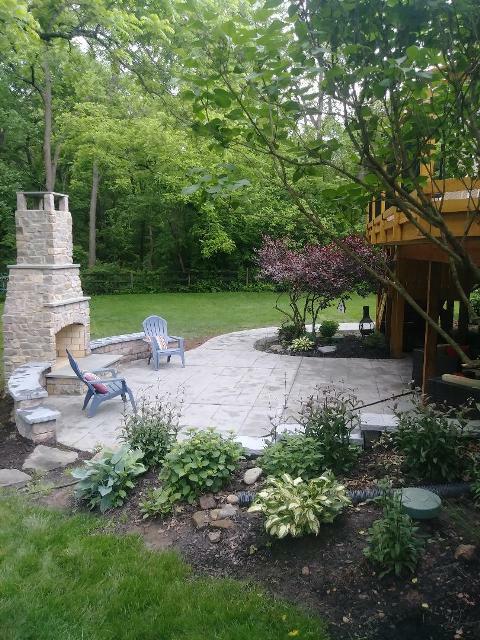 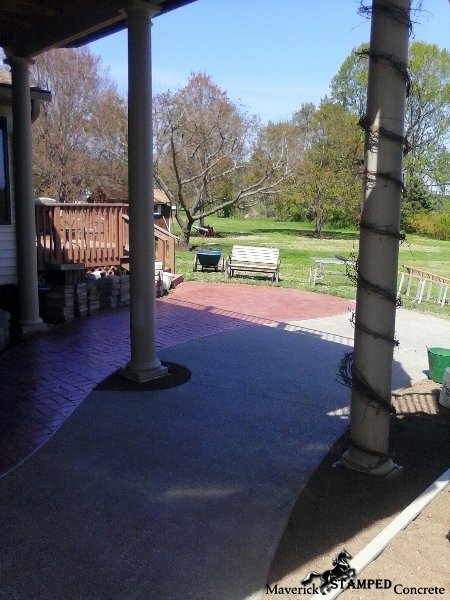 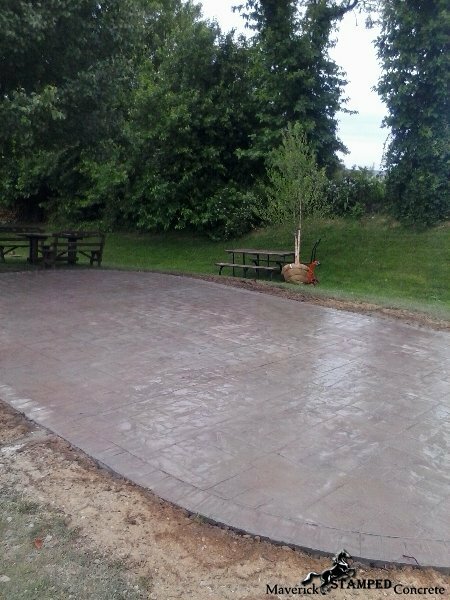 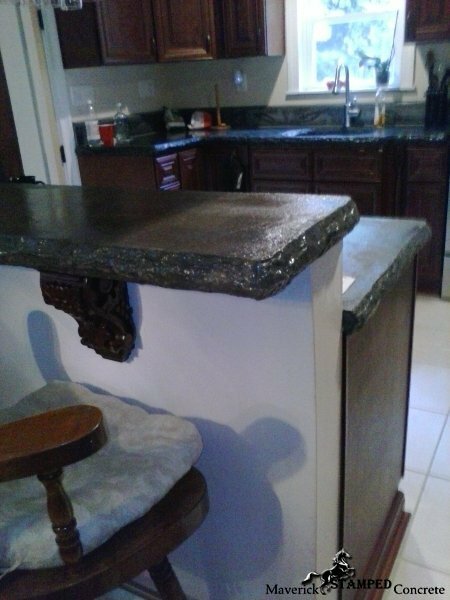 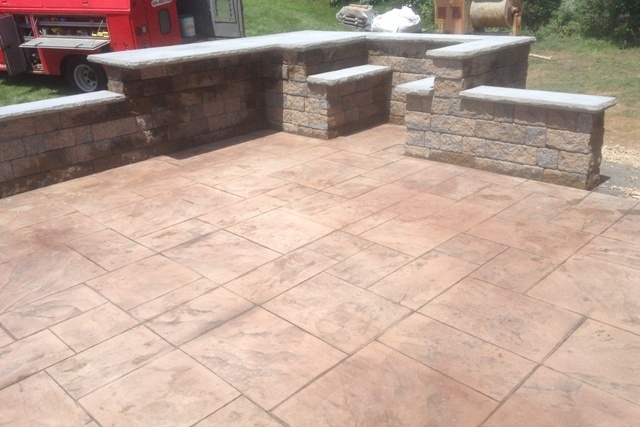 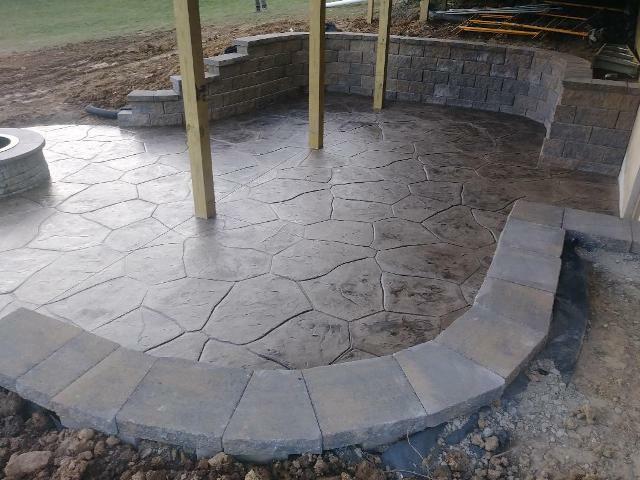 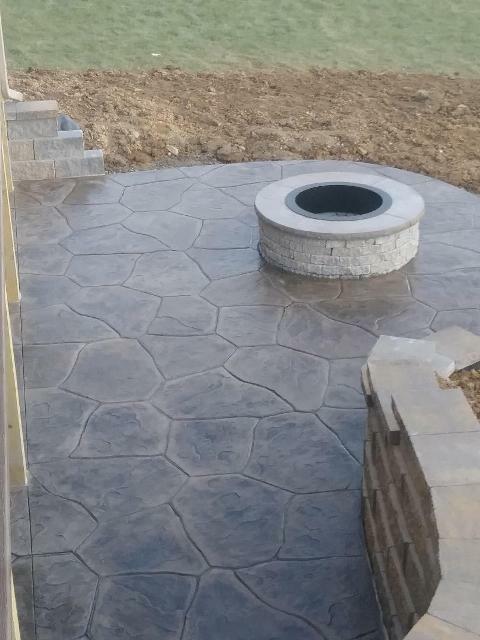 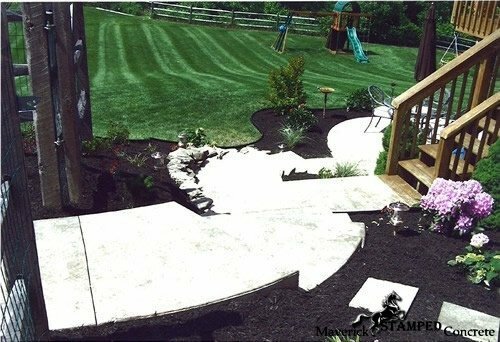 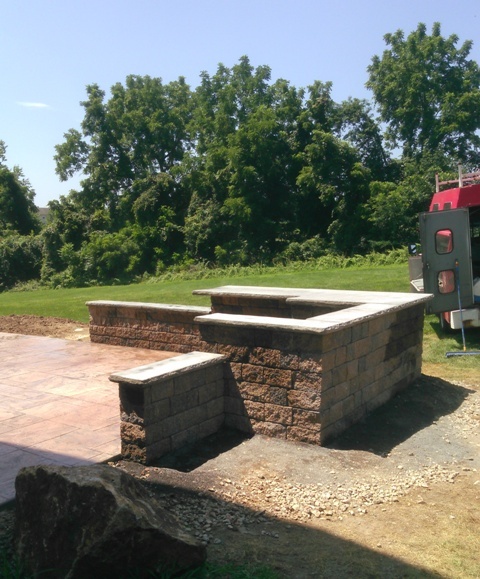 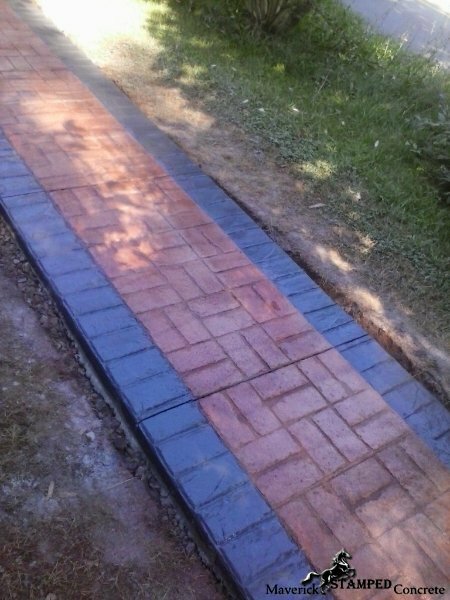 We can also work with you to offer the non-traditional options as well: stamped concrete tables, stamped concrete bars, stamped concrete furniture, sinks, stamped concrete counter tops, etc. 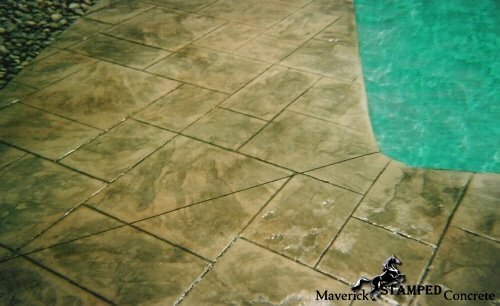 We offer an unlimited variety of colors and patterns from standard to complete custom.